The Tao of Gini: I don't care how cute you are. I don't care how cute you are. 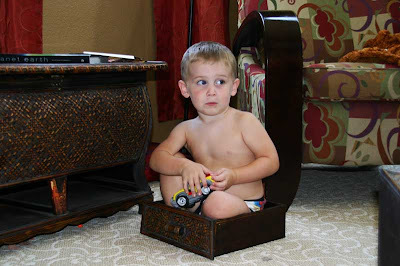 YOU ARE NOT SUPPOSED TO BE PLAYING IN THE DRAWER, GARRIN. NO, SERIOUSLY. LOOK AT ME WHEN I AM TALKING TO YOU. He is JUST GORGEOUS!!!! Look out, ladies!!! did he just suddenly age about 2 years? he looks like such a big boy now. what a darn cutie! dadgumit... i need to pinch his cheeks!